Initially, I had planned to use the words "morally upright," but I figured that womanizer would pass along the message faster. A womanizer, of course, is a man who is unfaithful, cheats regularly without remorse, and a generally promiscuous man. In short, a casanova. 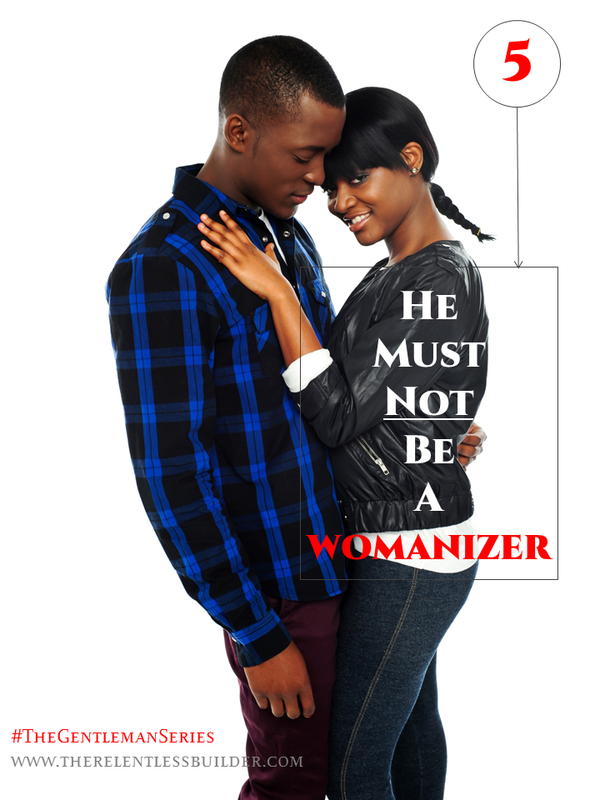 Nigerian men, just like men in general, have been branded as notoriously unfaithful. I watched this video on Battabox where the interviewer asked if Nigerian men were faithful and pretty much all the women (and even the men) agreed that Nigerian men were not faithful. Fidelity is a big deal especially in a relationship between consenting adults. Every man who cheats probably has a "good" excuse for why he did it, and the blame falls on the usual suspects: the devil, his partner (who was not doing what he wanted or was boring), etc. At the end of the day, a man has to take responsibility for his actions and just admit that he cheated because he wanted to. Society penalizes an unfaithful woman more seriously than an unfaithful man. Some women actually believe that it is absolutely normal and natural for a man to cheat. In fact, some women go into marriage expecting their husbands to cheat on them at least once during their marriage. Needless to say, a man who is unfaithful to a woman while dating or courting her, will be unfaithful during marriage. Having said that, I believe there are Nigerian men who take fidelity very seriously and would never cheat on their partners. If those men also satisfy the conditions in the preceding four episodes (i.e. they are polite, well-groomed, not physically abusive and are responsible), those are true gentlemen, and I salute them. Questions: Do you believe Nigerian men are faithful? Why or Why not? Was there any quality or atrribute you believe should have been included in the Gentleman Series that was omitted? I honestly don't know what i'll do if if my husband cheats but i think women have been too docile with men. Men feel they can cheat and get away with it because women don't demand accountability. I once heard a woman say "iran okunrin lon s'agbere" meaning guys are known to cheat so it's pretty much common place but i refuse to take that as my reality. P.S: I think Empathy should get on the list too. it's pretty much common place but i refuse to take that as my reality. I believe there are faithful Nigerian men and I agree that a true gentleman needs to be faithful and commit to their word and vows. Aww.. the end? :( I've enjoyed this series. I believe there are faithful men out there, but I honestly don't think there are many of them and in that number I believe there are even fewer who meet all 5 requirements stated so far. While I do believe the Nigerian gentleman exists, I think he is a very rare gem. I think men in general struggle with fidelity more than women because they are visually oriented. Unfaithfulness is inexcusable, but a man's mindset matters a lot. If he feels cheating is permissible because he's male, that's out of order. If he unwittingly falls into temptation along the way, but is remorseful & willing to work on his ability to exercise self-control, its easier to forgive.